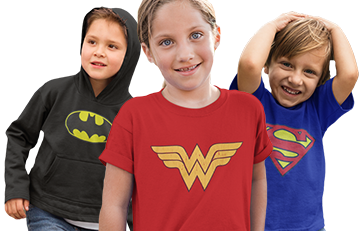 SuperHeroStuff.com has a monstrous and mutating selection of NEW superhero merchandise teeming with all sorts of awesome gear from your favorite heroes, heroines, and villains. 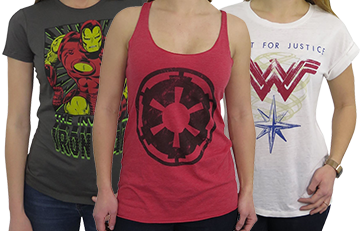 Our New Superhero Merchandise page is brimming with classic and contemporary superhero t-shirts, hoodies, accessories, socks, and all manner of superhero-themed sundries. 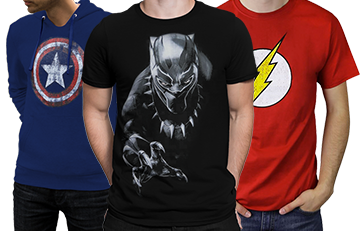 If you're looking for the latest fashions and trending heroes, SuperHeroStuff.com is the place to be.